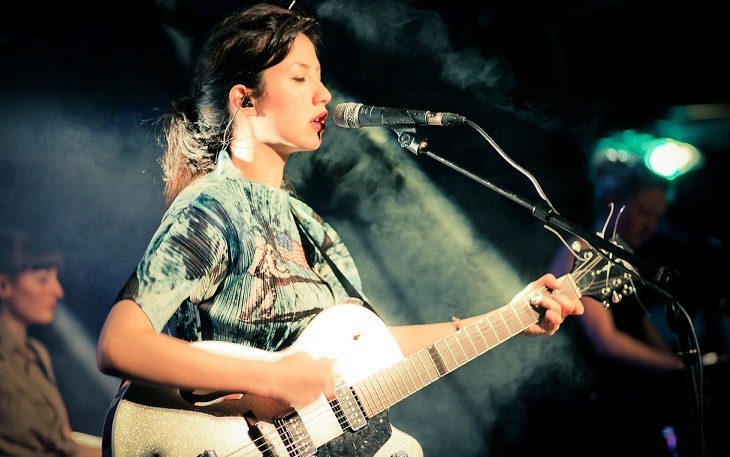 Emma-Lee Moss (born c. 1984, known by her stage name Emmy the Great, is a London-based singer-songwriter and journalist. She has released two albums, First Love and Virtue. She started making music after encouragement from The Get Up Kids while at Fuji Rock Festival as part of Joe Strummer’s entourage. Since then, she has performed with indie folk groups Lightspeed Champion and Noah and the Whale, but is primarily known for her solo work. She first emerged under the name Emmy the Great in 2006, when she released a series of free demos over the internet. She says the moniker came about when “[she] wanted to be a backing singer and […] wanted to have something to hand to people… ‘Emmy’ is a name they called me at university, which I hated, and ‘the Great’ I added on because I hated ‘Emmy’ so much.” She formed a backing band which currently includes Euan Hinshelwood of Younghusband, Glenn Kerrigan of So Say So, Tom Rogerson of Three Trapped Tigers and Ric Hollingbery of Pengilly’s, and has previously included members of Noah and the Whale and Johnny Flynn. Her debut single, Secret Circus, was released in April 2006. She began writing her debut album, First Love, in “dilapidated studios” owned by The Earlies in rural Lancashire and was released in February 2009. It spawned the singles We Almost Had A Baby and First Love. The album was received with generally positive reviews, while The New York Times compiled their list of “Best Albums of the Year 2009” and ranked First Love at #7. Her second album, Virtue, was released on 13 June 2011. The album’s lead single “Iris” was released as a digital download on 29 April 2011. Speaking of the album’s recording process, Moss said that, “It’s been a very strange few months, and I can’t wait to make a record of them”.